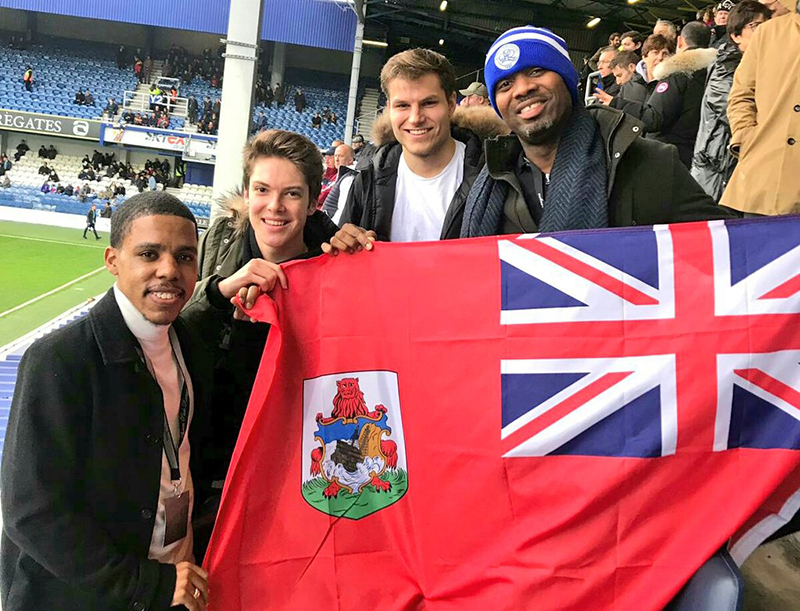 During his travels in England, Premier David Burt took time out to meet with professional footballer Nahki Wells after the Queens Park Rangers’ match, with the Premier pictured with the Bermudian striker, as well as in the stands with other fans holding a Bermuda flag. 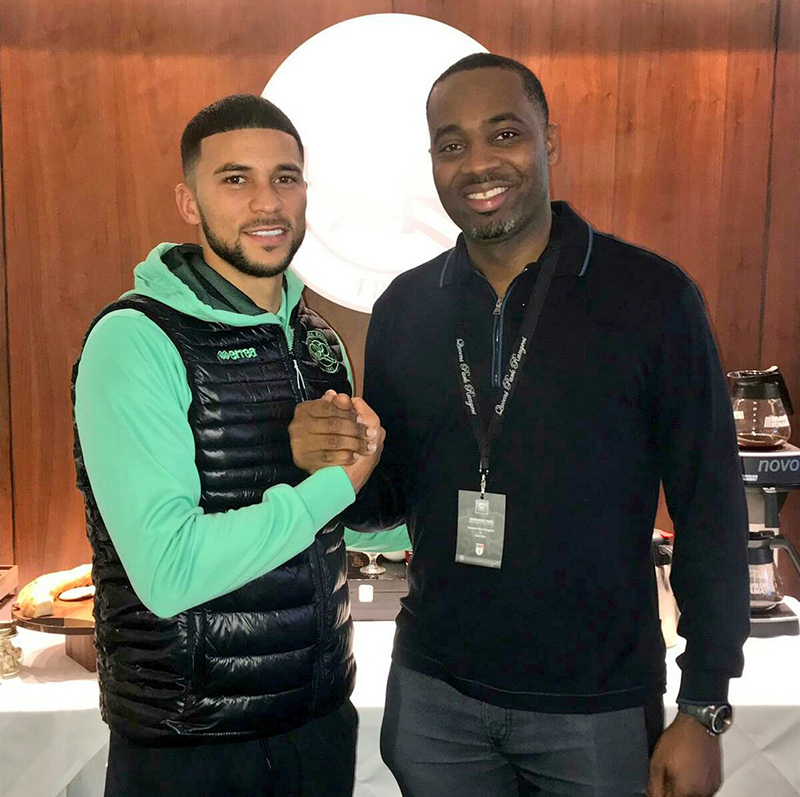 Wells recently returned home to play for Bermuda, scoring the game winning goal in the CONCACAF Nations League match against El Salvador. 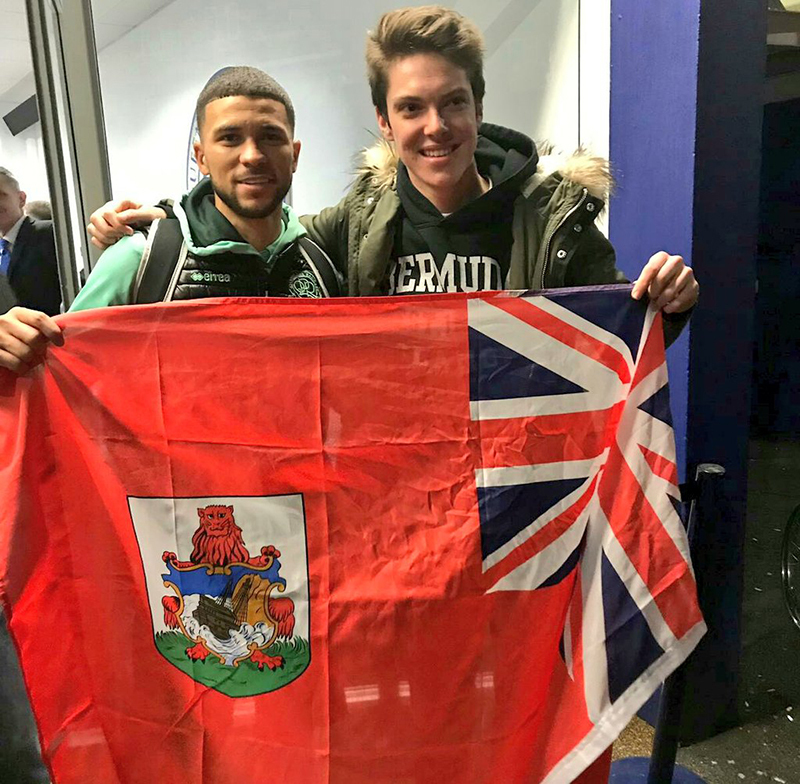 did the Premier pay with Burtcoin or did the Bermudian Public pay for the ticket? of course it was paid on taxpayers costs. We all know bermuda public has paid for his vacation to London… all the whole, the garbage hasn’t been picked up in the east end last week and has been sitting outside our houses ever since… and today is Monday! How dare he use his OWN bitcoin for his vacation travels! I’m going to dump mine on a certain someone’s Drive. Take it to the dump yourself and withhold some tax dollars. Not just him I am sure he travels with others. He has a housekeeper and babysitter we pay for as well. The above comments are hilarious. Please continue. 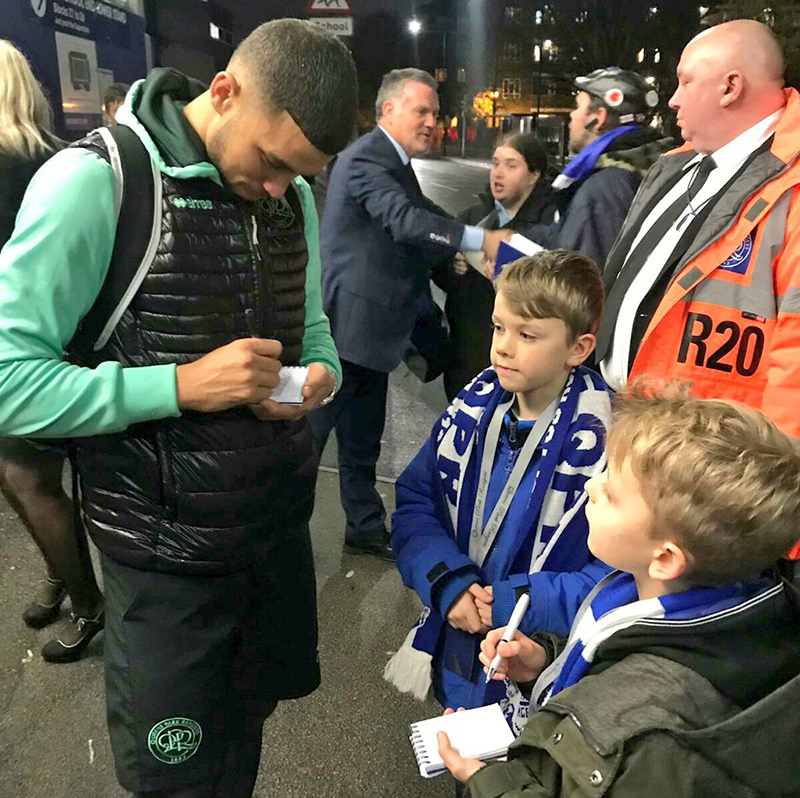 Nice one George (Frosty) great networking mate…Champions League better footy..
Hope Mr. Wells does not let himself be used…by anyone. Wonder what the woters tink..